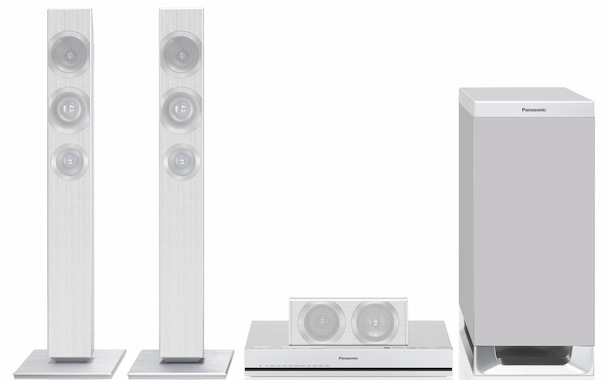 Onkyo announced three home theater in a box (HTiB) systems, which include the 5.1-channel HT-S3700, the network-enabled 5.1-channel HT-S5700, and Dolby Atmos enabled 5.1.2-channel HT-S7700, all with HDMI 2.0 and Bluetooth. Dolby Atmos is a multidimensional audio format developed for commercial cinemas and now available for the first time in home theaters—places and moves specific sounds anywhere in the room, including overhead. Content creators mix in a 3D space with object-oriented overhead sounds (such as aircraft, rain, or birdcalls) passing through pairs of in-ceiling speakers or Dolby Atmos-enabled height speakers. 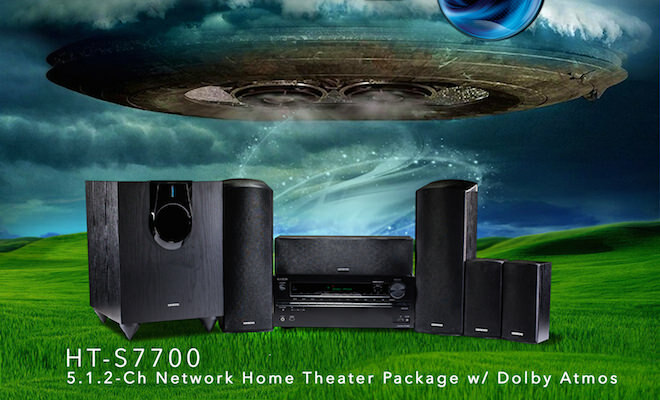 With its Dolby Atmos-enabled front/height speakers, the HT-S7700 is the most convenient and affordable way to enjoy Dolby Atmos sound at home. This factory-balanced 5.1.2-channel HTiB system is powered by a Wi-Fi and Bluetooth-ready 7.2-channel network A/V receiver featuring HDMI 2.0 terminals for 4K/60 Hz video and HDCP 2.2 for 4K video streaming and broadcasting. It supports high-resolution network audio, internet radio and music streaming, and can upscale low-resolution video to 4K with Qdeo processing technology. The receiver has two HDMI 2.0 outputs, a phono input for turntable connection, and Powered Zone 2 capability for distributed multiroom audio. Included 2-way front speakers contain OMF (Onkyo Micro Fiber) woofers and a balanced-dome tweeter for clear and accurate sound, while an independently powered up-firing speaker in a sealed top compartment bounces Dolby Atmos height effects from the ceiling into the audience. Sounds fed via the height channels seem to originate from overhead, helping to create a sphere of sound where effects move seamlessly above and around the listener. The package is completed with a 2-way gloss-accented center speaker with dual cone woofers and tweeter, two solid full-range surround speakers, and a large 10-inch powered subwoofer. 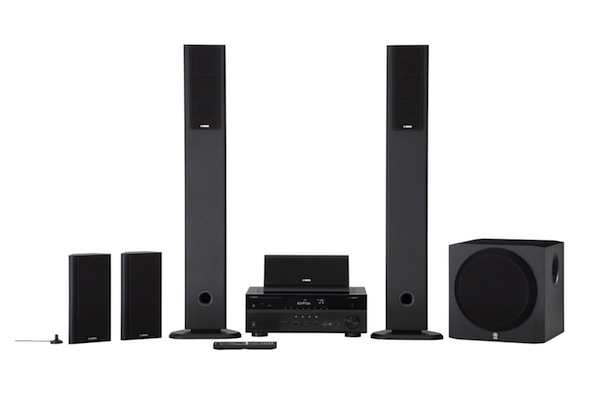 First-time home theater buyers—or those looking to create cost-effective surround-sound system in a second zone—are ideally served by the convenient HT-S3700 HTiB package. Both have everything needed for an exhilarating entertainment experience, with six-piece speaker packages driven by 4K/60 Hz-capable high-current A/V receivers complete with seven HDMI 2.0 terminals. 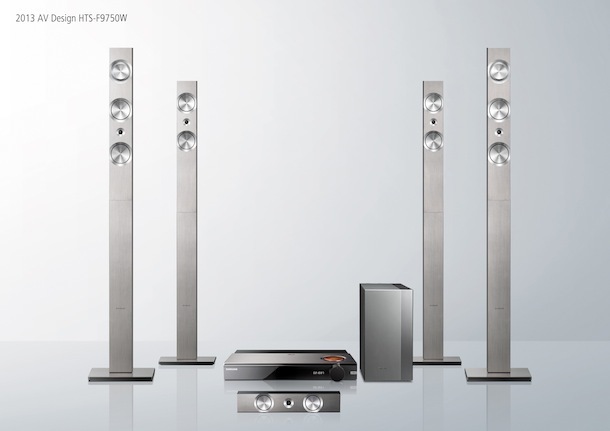 Those wanting to fill larger spaces with detailed and dynamic sound can step up to the HT-S5700, which offers network audio via Wi-Fi, remote control and audio streaming via smartphone, upgraded 2-way OMF front speakers, dual-cone center speaker, and powered subwoofer. Core technology that established Onkyo as an iconic global audio brand is at the heart of these three A/V receivers. Built around a High Current Power Supply (H.C.P.S.) transformer, large capacitors, and discrete output transistors, the company’s high-current WRAT system maintains precise control of the speaker drivers for clear and accurate sound. Combined with 192 kHz/24-bit D/A conversion, WRAT reproduces DTS-HD Master Audio and Dolby TrueHD soundtracks with vibrant clarity. 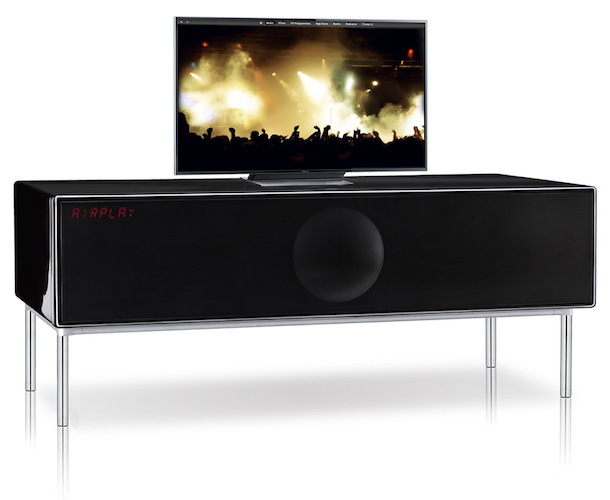 Creating further value is built-in Bluetooth, which allows easy wireless audio to the home theater from compatible devices. Selectable Music Optimizer compensates for lost high-frequency bit information to give compressed audio files a clearer, fuller sound when played back via Bluetooth or USB. 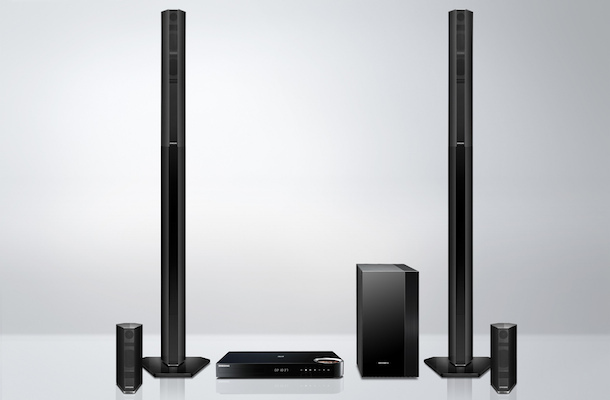 Music fans seeking the ultimate in clarity can enjoy high-resolution album downloads via wireless home network on the HT-S5700 (including 192 kHz/24-bit FLAC and 5.6 MHz DSD), searching and selecting tracks using the remote streaming app, while both systems support hi-res audio playback via USB. The HT-S5700 package opens a world of internet radio and music streaming via Spotify, AUPEO!, TuneIn Radio and more, with browsing and song selection via smartphone. Along with more power, the HT-S5700 also balances and clarifies surround-sound from one easy measurement position using proprietary AccuEQ room calibration. All three systems include Onkyo’s exclusive PM Bass, which is designed to counter phase shifting for improved mid-range clarity, along with a selection of listening modes bring out the soul in any recording. The included A/V receivers launch with InstaPrevue technology, which overlays picture-in-picture thumbnails showing what’s playing on devices connected via HDMI. Combined with an intuitive overlaid GUI to allow quick adjustments without interruption to the program, these products are remarkably easy to use. Other features come in the form of a Zone 2 line-level output to distribute audio to a second room, and Onkyo’s Hybrid Standby function, which enables HDMI passthrough and excellent efficiency when the receiver is powered down. Both packages ship with a high-gloss speaker system; the HT-S3700 completed by a black woodgrain subwoofer incorporating a 8 inch downfiring cone and big-bore reflex port, while the HT-S5700 comes with a powered 120 W subwoofer and 2-way bass-reflex OMF front speakers.